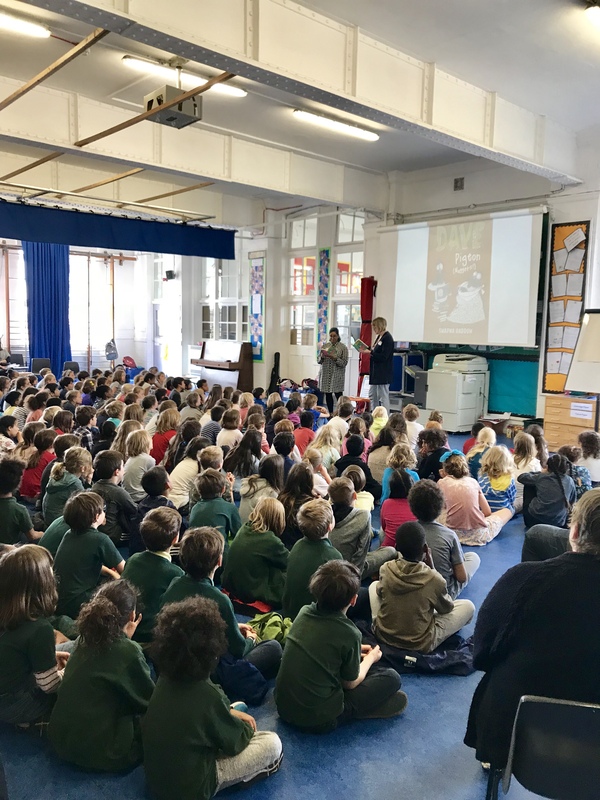 Sheena and I visited William Patten Primary School with Stoke Newington Literary Festival, as part their fantastic Schools Day outreach. 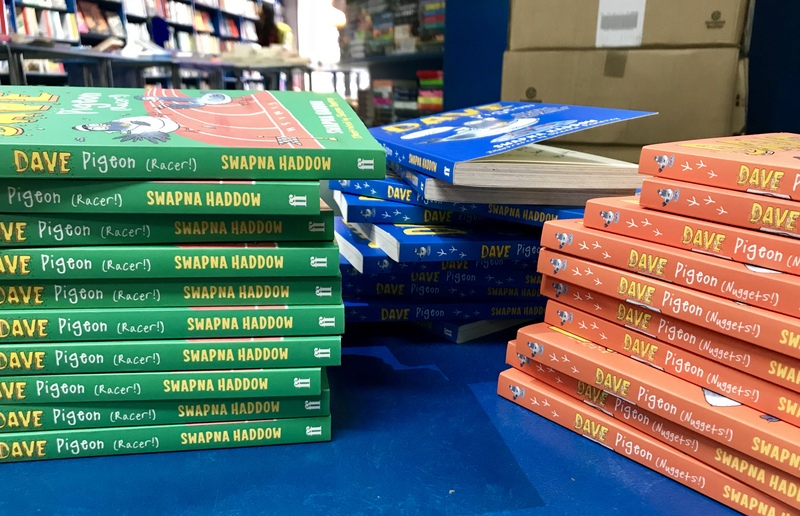 The programme aims to make sure every pupil at a primary school in Stoke Newington is invited to a free author event. 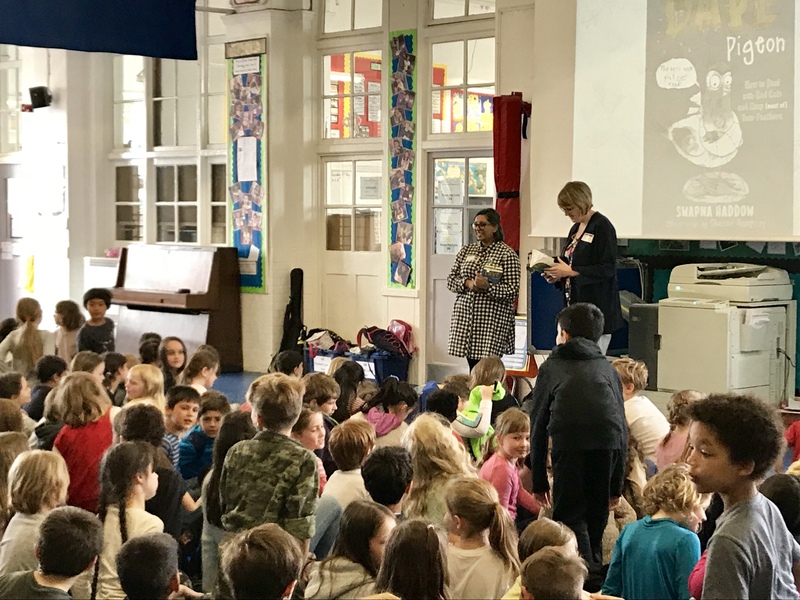 We met with over two hundred year 3 and year 4 pupils from William Patten Primary School, Grasmere Primary School and Betty Layward Primary School. In addition to creating more than two hundred super villains, the pupils helped Sheena and I to create a brand new criminal mastermind, the wretched Stinky Pants, and a brand new story for Dave and Skipper. Our pigeon heroes had to escape the evil Stinky Pants from a swimming pool burger bar, whilst creating a humungous water wave to distract the pigeon-hungry villain. Thank you so much to all the staff and pupils who joined us today and to Kate, Molly and Team Stoke Newington Bookshop for looking after us during our wonderful visit.